During every Durga Puja festival time, I get inconsolably homesick. The grey cloud lasts until the week-long festivities are over and only after that, do I manage to limp back to normalcy. What can I say? Durga Puja is a very special time of the year for me and even after so many years of expat life, I miss home terribly during this festival. The biggest celebration in Eastern India, Durga Puja makes my hometown, Calcutta gear up like an excited bride. There is no place on earth, a Bong (local abbreviation for Bengali or people from Bengal) would be rather than their home state at that time and I am as much of a Calcutta girl as it gets. 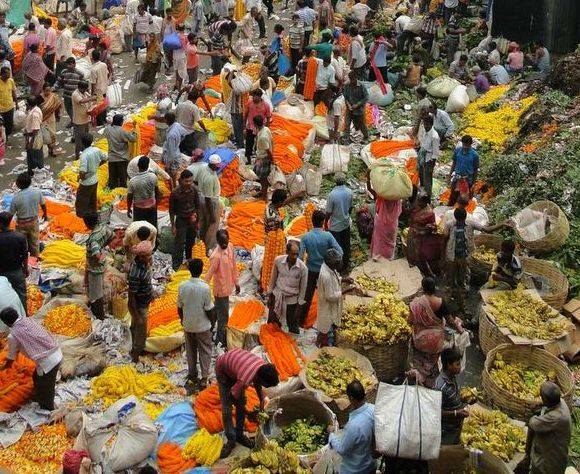 Funnily enough, you do not have to be a Bengali to be a Calcuttan, and irrespective of your cultural roots, the city rubs off its character on you. You end up following quintessentially Calcutta rituals like reading the newspaper with your morning tea at a very relaxed pace. And if you stay one generation long, some very time-bound Bengali practices of applying talcum powder in summer, rubbing Iodex on your chest for cold etc creep over your daily habits. Recently I read a very interesting article called “Why Calcutta Is The Best City In The World” by Vir Sanghvi. It reflected upon the city’s quirky character in his humourous, witty words. One excerpt particularly struck me as good as gold and that is, Calcutta is essentially Bengali. 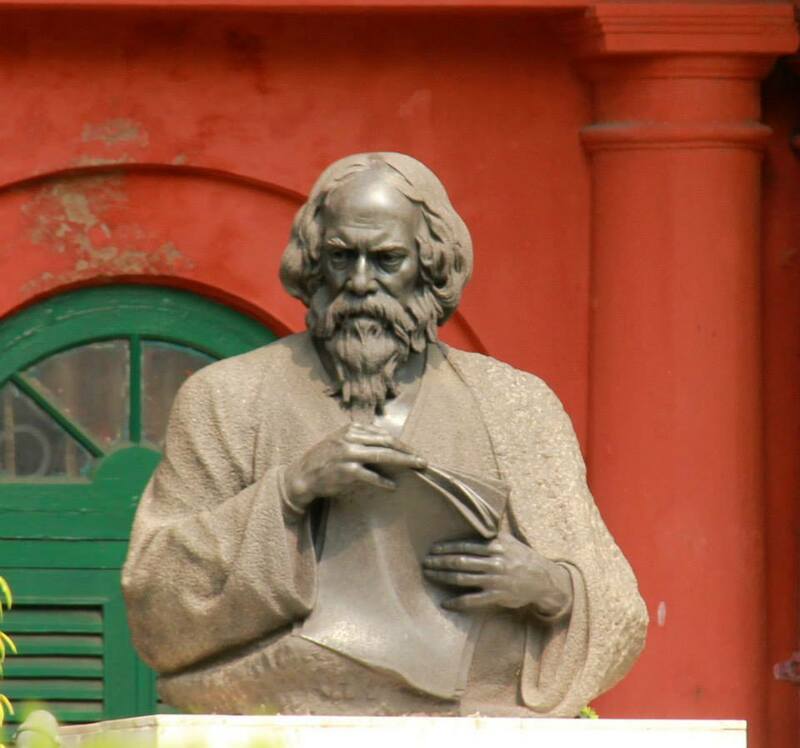 In his own words, ” Calcutta’s strengths and weaknesses mirror those of the Bengali character. It has the drawbacks: the sudden passions, the cheerful chaos, the utter contempt for mere commerce, the fiery response to the smallest provocation. And it has the strengths (actually, I think of the drawbacks as strengths in their own way). Calcutta embodies the Bengali love of culture; the triumph of intellectualism over greed; the complete transparency of all emotions, the disdain with which hypocrisy and insincerity are treated; the warmth of genuine humanity; and the supremacy of emotion over all other aspects of human existence.” Those are the very words of premier journalist Vir Sanghvi, who spent many fond years of his life in Calcutta and the city’s charm lies in its unruly character. This is not a travel guide. This is a love letter to my hometown. For a proper Calcutta food guide, check out Calcutta Belly. There is more to Calcutta than brick and mortar buildings, landscaped parks and it is possibly India’s dirtiest and poorest metro city. But that does not stop the heart from loving this difficult grand dame of the British colonial empire and the city comes with a lion-sized touchy ego. Places have a way of changing people and believe it or not, most of the changes that Calcutta has brought on its patient residents are good ones. I have heard new residents of Calcutta claiming to be more humane, sociable, and people friendly while getting more culturally active every day. The city thrives on intellectualism and it is not easy to swim against this tide of thoughts and feelings. To love Calcutta is to understand it and the only way to do so, is to feel the city, let it seep into your blood, take over your brain completely until you start functioning nearly like a Bengali, and finally steal your heart forever. 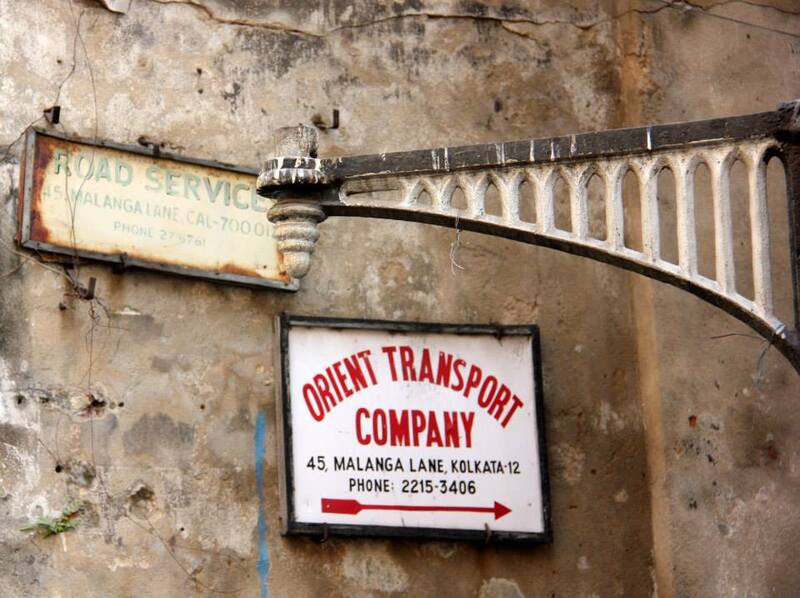 Only then, will the city be truly yours and wherever you go, a part of Calcutta will always go with you. I brought Calcutta with me all over the world and have inadvertently sought its familiarities with many foreign cities. It always struck me how the Rhine sunsets in Cologne, Germany were as gorgeous as the ones in summer in Calcutta. Or how downtown Havana in Cuba with its vintage cars and crumbling mansions resembled BBD Bag Calcutta with its yellow Ambassador taxis? I loved the feeling of Deja Vu while walking down the streets of Yangon in Myanmar and often get disoriented in parts of Cairo. It finally dawned on me that it was not the cityscape which was familiar but the underlying connecting human emotions like elation at sunset colours, the chaos of Yangon markets, and the fierce pride in the cultural heritage of the Cubans which made me yearn for my city in a foreign soil. 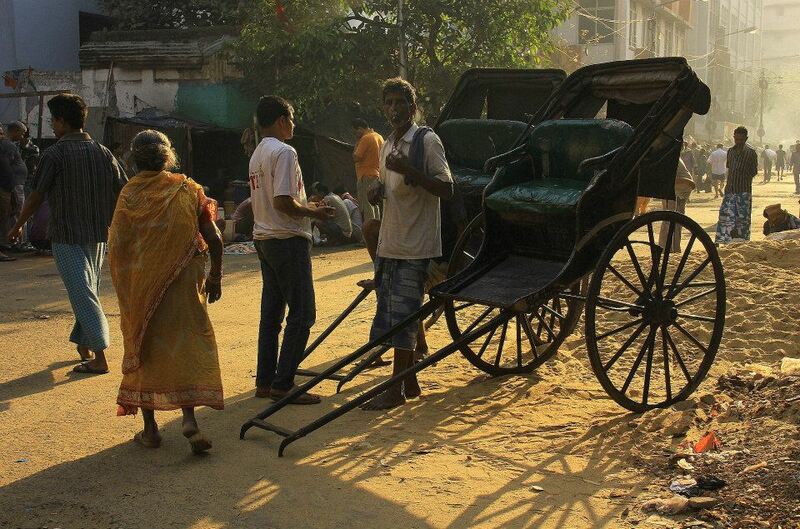 This is the magic of Calcutta and needless to say, it is a feeling that will never go away. 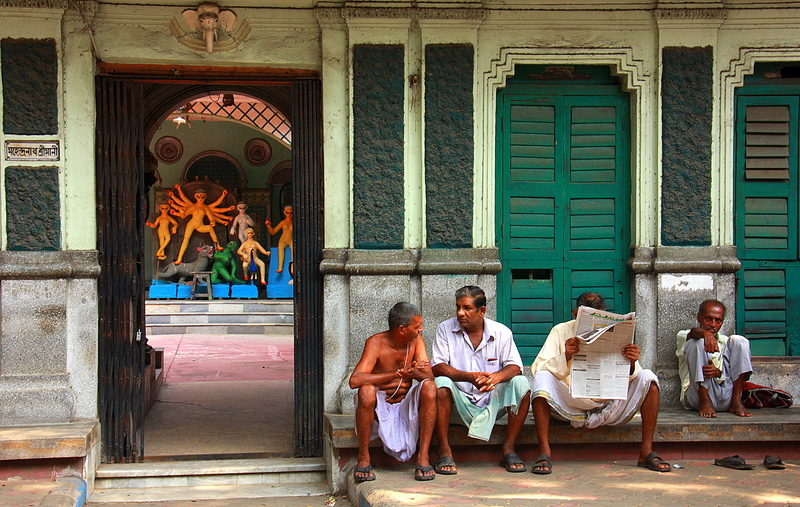 So, I asked some of Calcutta’s visitors, “how do you describe this city of emotions in words?” ‘Simple’, they replied. 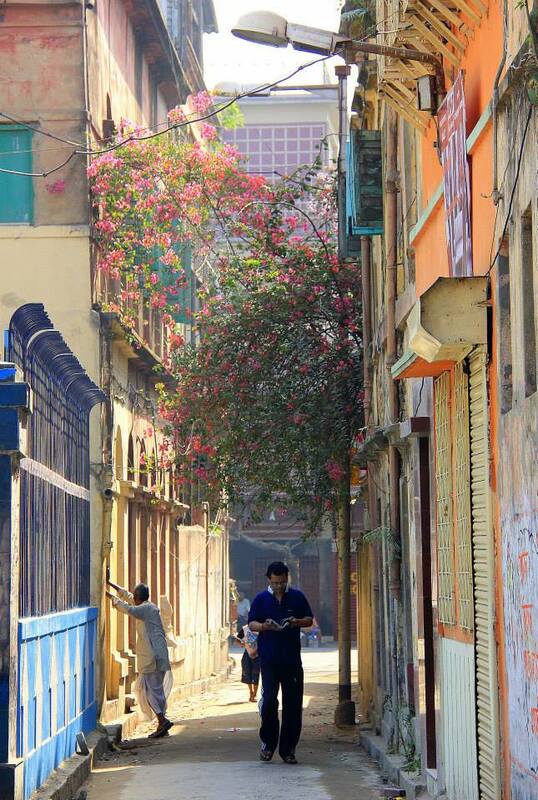 ‘Just pen down your sensory memories of Calcutta’ and you will have the city alive and humming on your page. 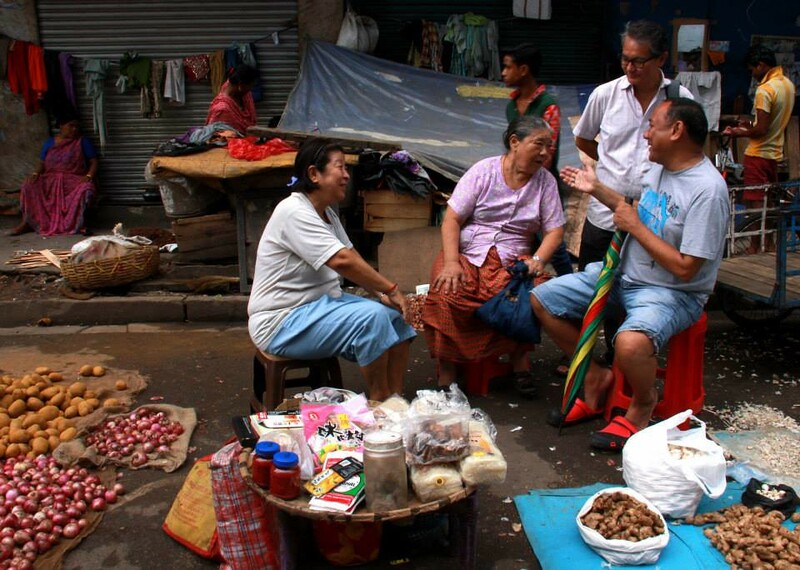 In the upcoming series, I will showcase Calcutta through the eyes of its resident (me) and visitors alike. 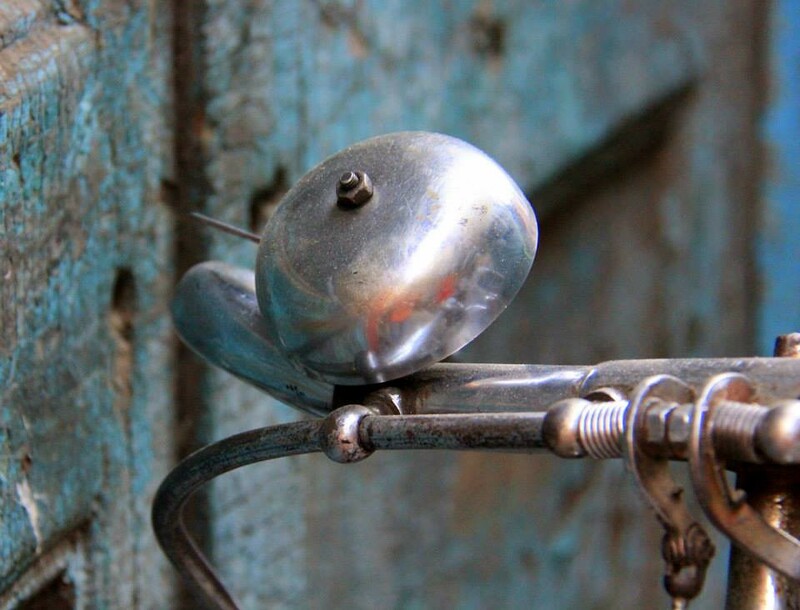 Called, “This is my Calcutta”, the series is a travel photo essay on emotions, culture, and the reality of loving Calcutta. 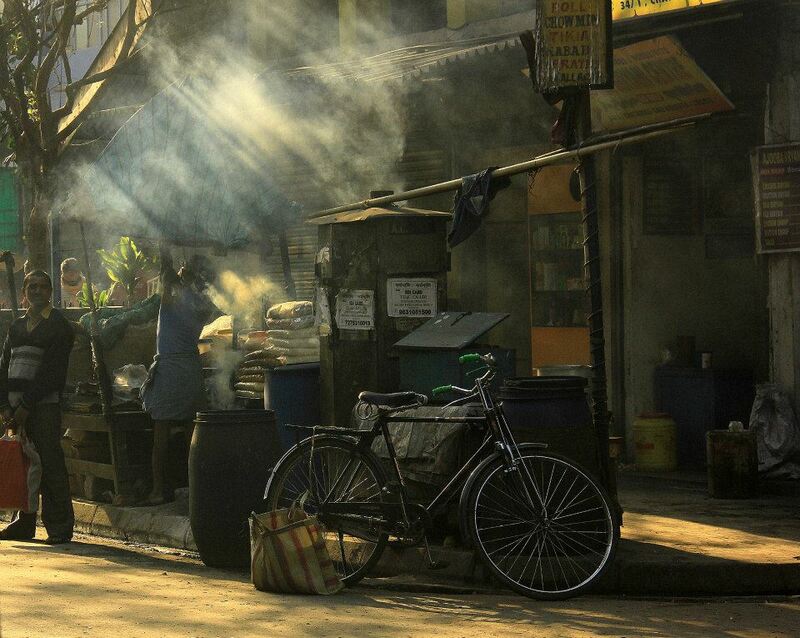 One of my favourite memories of Calcutta is of the evening walks which I took in the Southern Avenue part of the city. The walk was a part of my evening routine every time I went home and sunsets and piling on weight due to home food cause such enthusiastic efforts. West Bengal is puddled with lakes and rice fields and their fish is king. 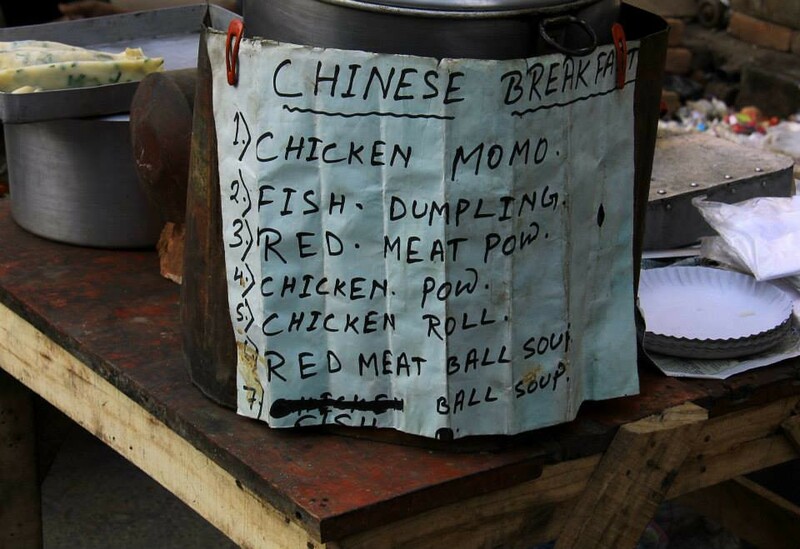 Fish and rice along with noon siesta, are our daily staple and we, Calcuttans would love to have both every day. Calcutta was experiencing monsoon the last time I left and it was very romantically pretty. Monsoon flowers were in full bloom and wild blackberries were splotching the broken sidewalks with deep purple. In fact, most Calcutta monsoon days are very purple with dark violet clouds crowding a damp sky and twilight which falls in deep lilac tones. Even the dusk is velvety at that time, with an intense indigo blue lighting up with a slice of soft waxy moon. Coconut leaves rustle in a wet breeze and its only on Saturday evenings that the city murmurs joyously despite the monotony of the tedious rain. Such scenes rush through my mind like stills from a lovely movie and I can even smell the signature fragrance of autumn “shiuli” flowers in my desert beige Cairo neighbourhood. Settled in the eastern part of India, Calcutta is located on the banks of the river Hooghly (which flows through rest of the country as the Ganges) and is very close to the Bay of Bengal. 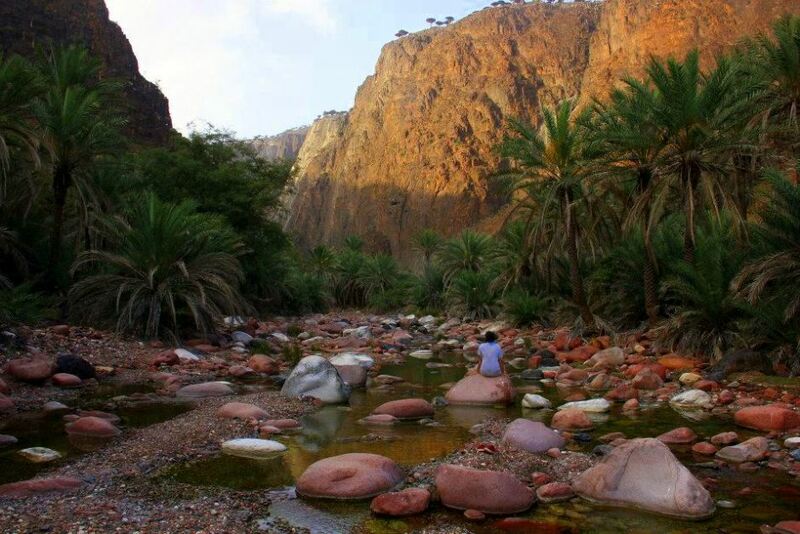 It is a laid back riverine city, hard to love at first sight, but has a peculiar charm which slowly creeps over and overpowers its visitors completely. 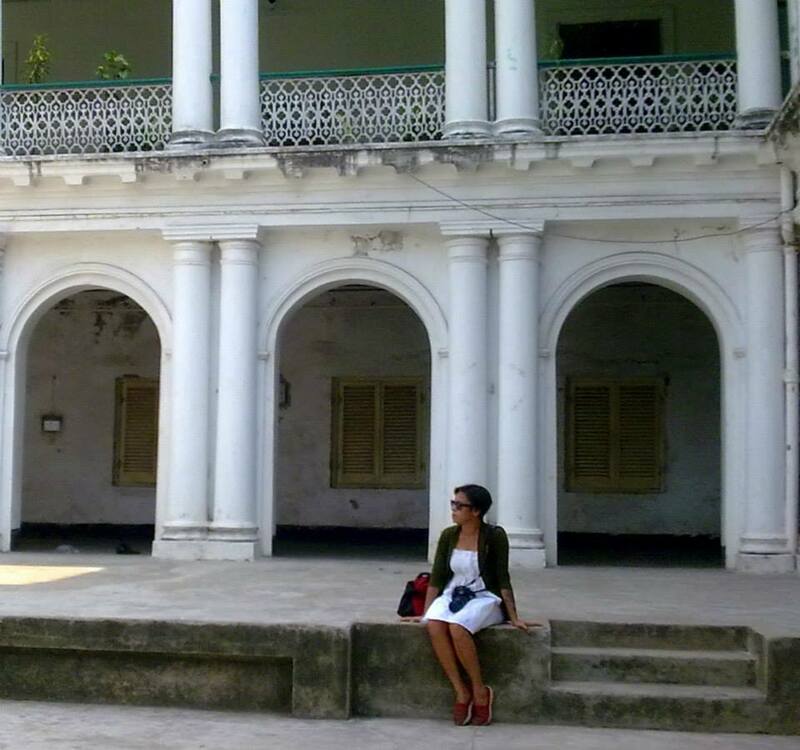 A proudly bohemian crumbling city, Calcutta is like a grand dame of the colonial era also known as the British Raj. A long and complicated chain of national and international events spawned its birth on 24th August 1690 and it was founded by a British called Job Charnock. An equal number of conflicting stories exist about its christening, but it had been long proven that the sprawling colonial city was formed out of three villages of Gobindapur, Sutanuti, and Kolikata. It was the capital of the British East Indian empire until 1911, after which Delhi took over the helm of power. 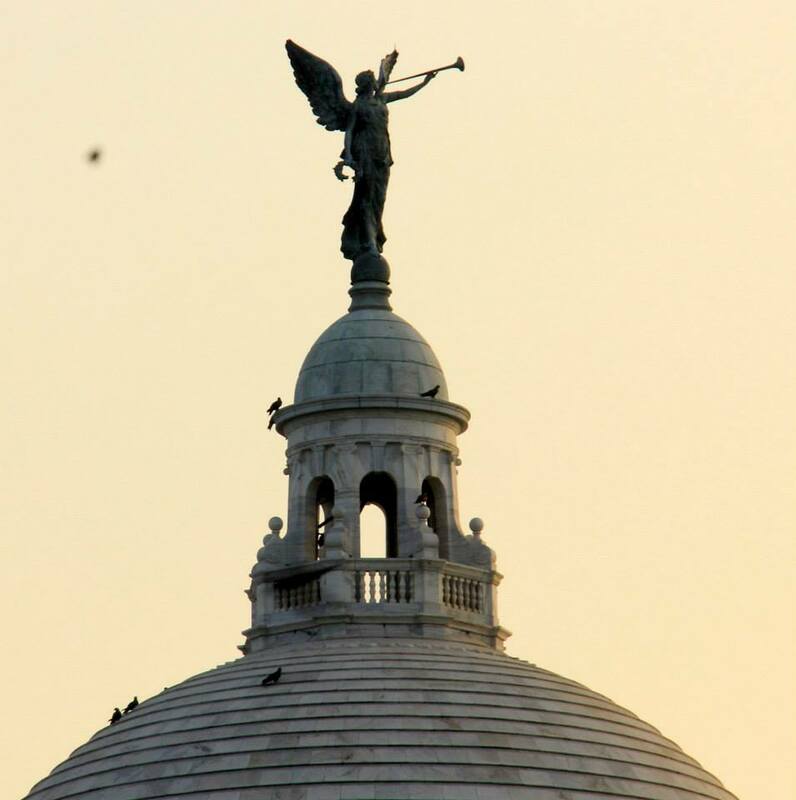 Always a fiery city, Calcutta had been a hotbed of controversies, revolutions, and scandals. Numerous rise and fall of regional empires saw the royal exiles roosting in its palatial homes, the opium trade, jute, indigo burst and diminish its coffers in phases and independence and violent Marxist-Maoist movements bringing the city to bloody standstills. Incidentally, Calcutta, the capital of the state of West Bengal, was the headquarter of Communist Party of India and it dominated the political scene for more than three decades. Why is Calcutta so bohemian? Its regime was also the world’s longest of democratically elected Communist government and Maoist-Marxist, Communist, bits of Fascist, Calcutta had experimented with them all. The city truly believes in freedom and breaking away from the socially accepted, the mundane. It was this love for experimentation which led to some of the earliest acceptable interracial marriages in Calcutta, so much so that it almost became a fad in the 18th century. 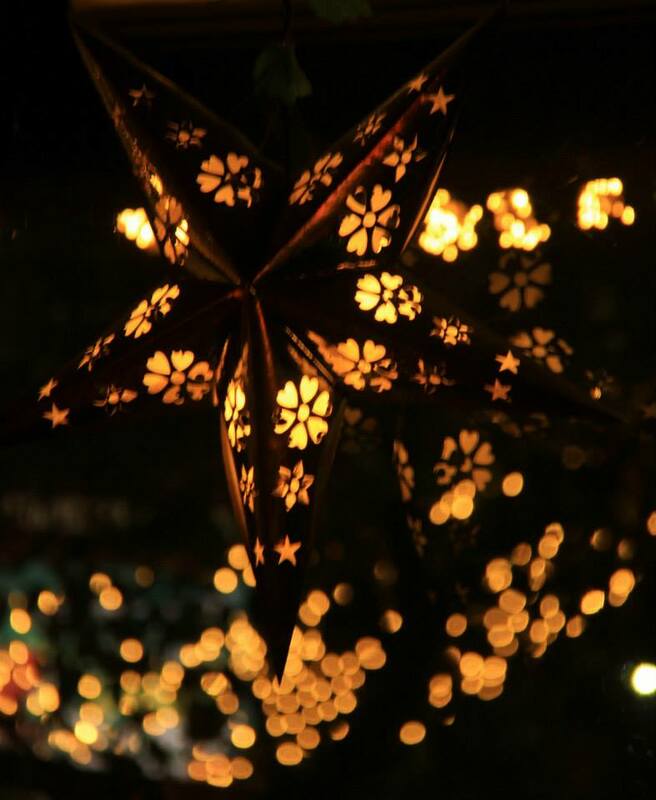 Such unions between the Europeans and local women, both Hindu and Muslim created the origin of the city’s substantial Anglo-Indian (or Eurasian) community and the city celebrates one of the classiest Christmas in India. Strive for constant freedom, refusal to conform to norms and obstinacy, lead post-independence Calcutta to be extremely volatile and it heralded more than a decade of unions, bandhs (standstills) and economic stagnation. The painful birth of Bangladesh from India brought ceaseless waves of immigrants into the city (active still now) and with that came poverty, squalor and utter lack of hygiene. Epidemics, leprosy and other horrifying illnesses scarred the beautiful city and it turned into a living hell in the early 90’s. Missionaries arrived in swarms, the most famous being Mother Teresa and they brought with them endless aid, changes, and more controversies. 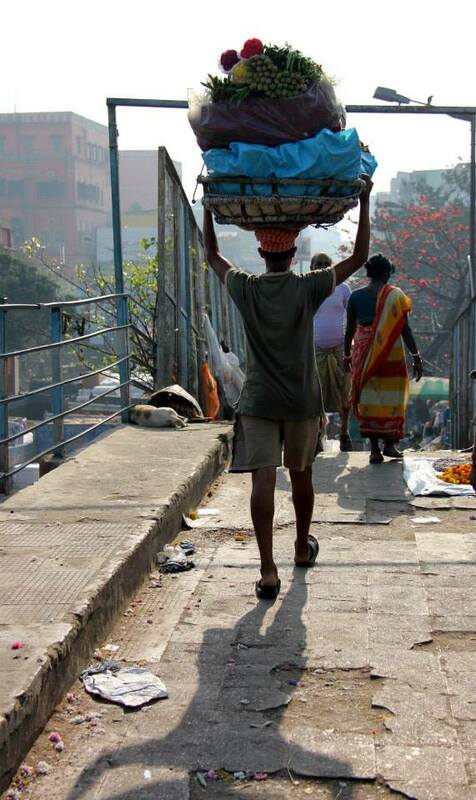 You will find beauty in Calcutta if you seek it well. 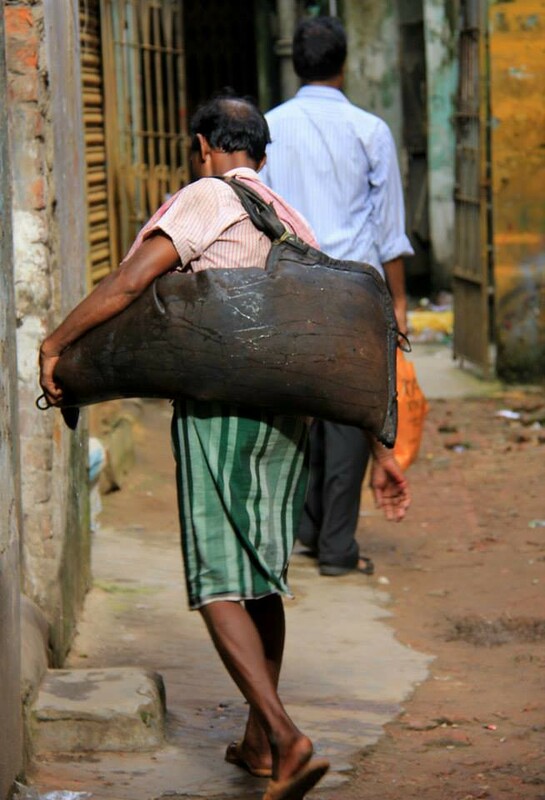 Poverty still remains in an objectionable amount in Calcutta and it has often been termed as a poor man’s metro. Also known as the “City of Joy”, Calcutta is home to a huge population of migrant workers, especially manual labourers who move into the city for better prospects and the movie featuring Patrick Swayze (also by the name of “City of Joy”) portrays their heart-rending tale beautifully. As mentioned before, straight from the horse’s mouth, Calcutta is hard to love at first sight but its distinction from the rest of the country can be felt from the very beginning. Beauty in Calcutta is scattered at every step with nearly every sight, sound and smell and in spite of the broken, faded facade, its grandeur is apparent and undeniable. 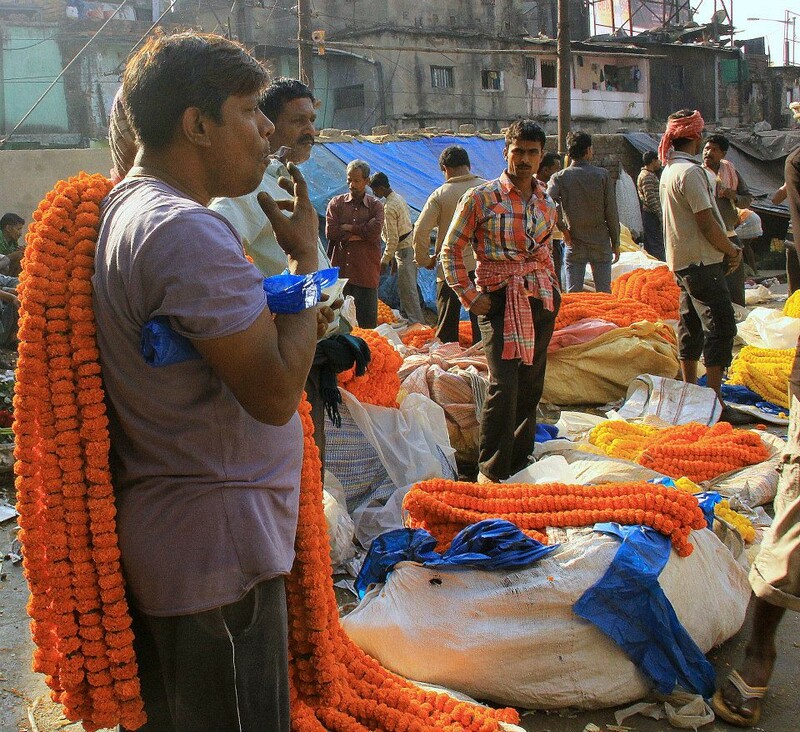 Check out the rest of West Bengal series on travel, food, and culture. 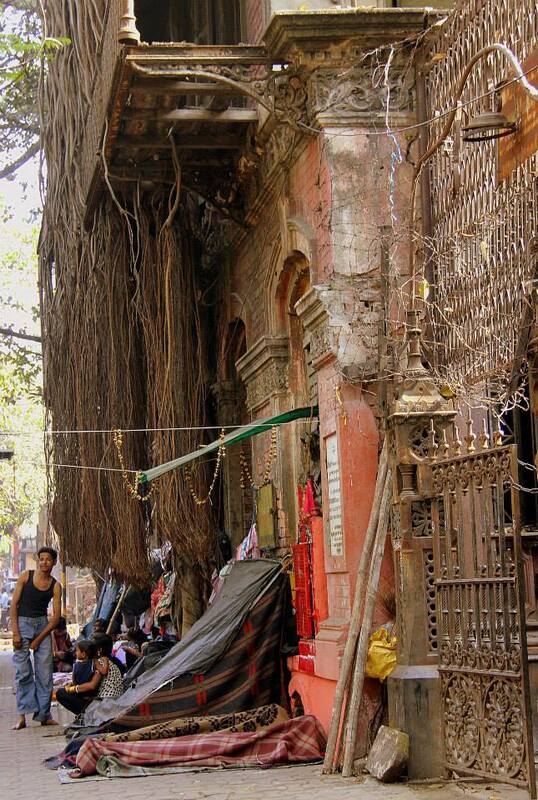 Calcutta lanes are crowded with architectural jewels which have seen better days and rich British officers, governors, Indian elite, princes in exile, courtesans, traders, artists, rebels have thrived in their winding interiors in phases. 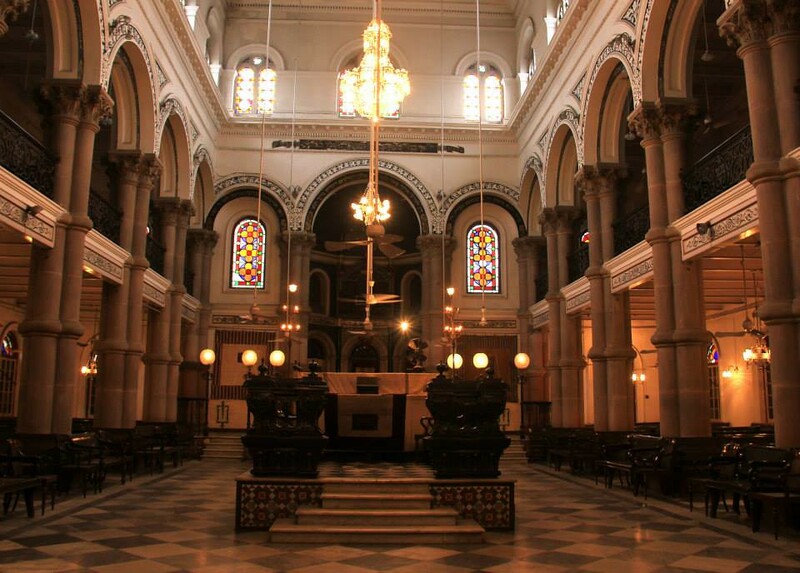 They all have loved Calcutta, possessed it with fervour and poured parts of their soul into the city. 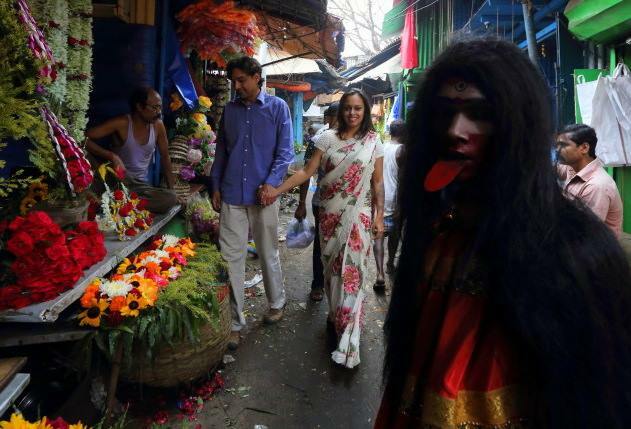 They lent the city its real beauty, its untamed, bohemian spirit and in spite of a much culturally homogenous population, Calcutta is the proud home of the artistically inclined, wild spirited, beauty-loving Bengalis. While erstwhile Bengal included the myriad hued and more culturally rich Bangladesh, today it is restricted up to the bank of the Hooghly river. This has given rise to the sharp demarcation of Ghotis (original Indian Bengalis) and Bangals (Bangladeshi immigrant Bengalis), who in spite of being Bengalis to the core, never agree on anything. Strangely enough, even though they have similar cooking styles, their food differs in taste, texture, and consistency just like their dialect. 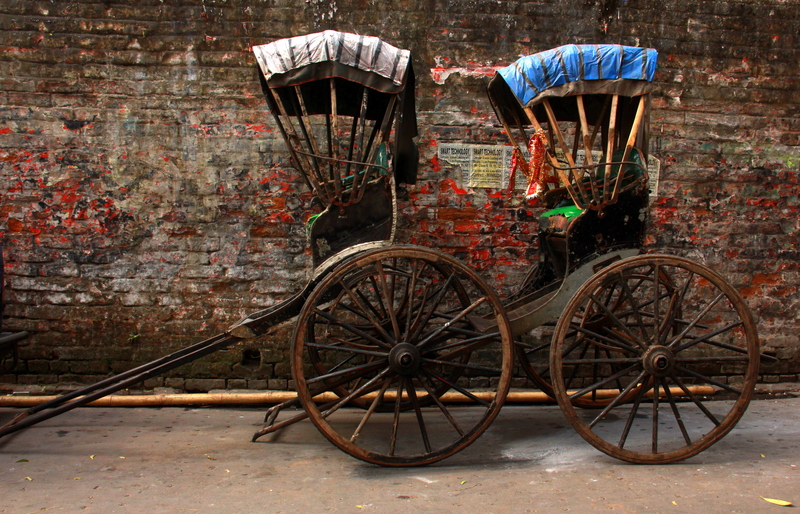 Calcutta too is sharply divided into North and South, and the divisions do not end here. A sports-loving city, Calcuttans are eternally divided over football clubs (Mohun Bagan and East Bengal), renowned musicians, writers, just about anything and everything. This attitude stems from the fact that Calcuttans love politics, art and arguments over a few cigarettes and cups of tea and nothing charges a Bengali’s mind more than an aesthetic discussion. Great patrons of idyllic mental pursuits and gentle use of time, Calcuttans can argue over President Trump for days (as if it’s happening in our backyard), spend hours searching for the freshest duck eggs and hunt throughout the length and breadth of the city for the famous tender young goat meat, which we relish as mutton. Passion drives us and Calcuttans can part ways for generations due to falling out over sweets, fish preparation, music, sports, and politics. It does not matter which walk of life you come from, in Calcutta we are always ready for a good debate. 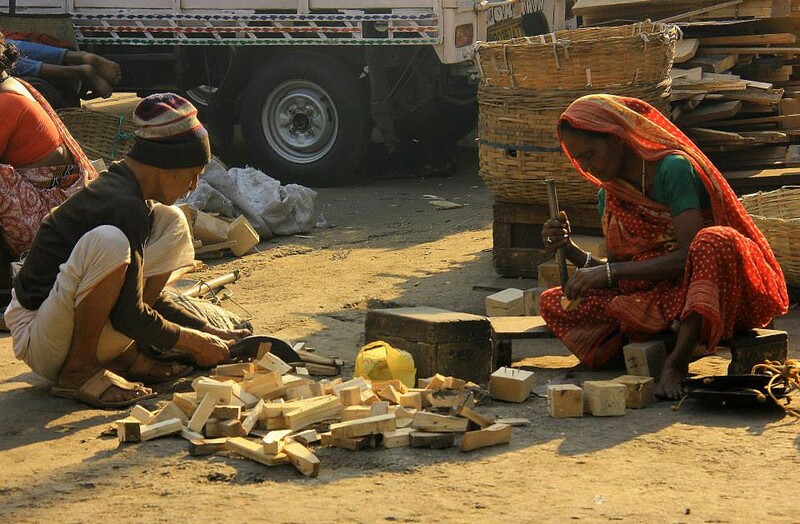 In Calcutta, we take pride in our women, fish, sweets, and music. An abundance of fish and the Great Bengal Famine of 1943 lead to clever fish-based dishes, indigenous to only this part of the country and we are proudly fishy people. Much to our fellow countrymen and visitors’ surprise, we devour every part of a fish, including the tail, bones, head, eyes and even the intestines and happily pick them clean. Fries rule our palates and we fry just about anything we get our hands on. From regular potatoes, onions, okra, and eggplant fritters churned out for every meal, our festivities call for exotic ingredients like marigold, pumpkin flowers, coral jasmine leaves, lamb fat etc. Sweets according to us are divine gifts to mankind and we have the most famous sweet tooth in the country. We add sugar to our cooking, take insult to our taste in fish and sweets very personally and heartily keep a tab on the number of deserts consumed (by self and others only to excel the last count) at wedding reception parties. With all that energy which goes into artistic and sensual pursuits, it is needless to say that Calcutta is an intelligent city. 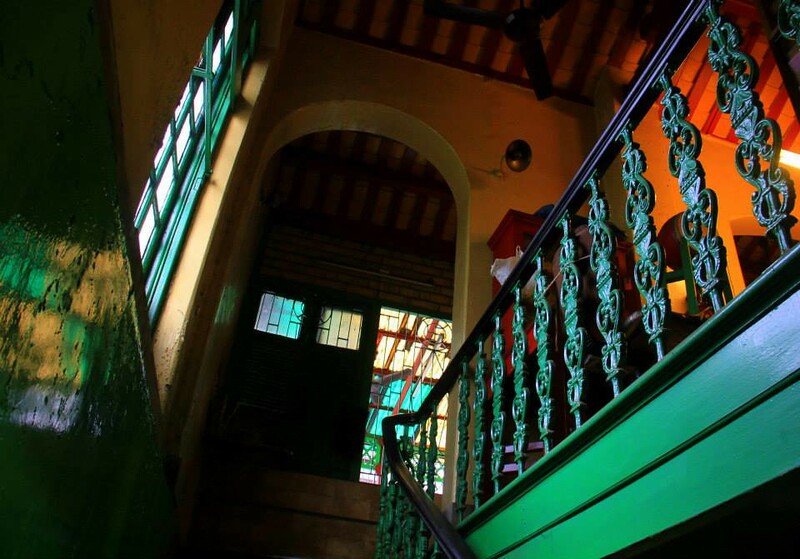 Every nook and corner of Calcutta have either well-constructed concrete shacks or hole in the wall rooms called clubs, where boys of that locality gather to gossip, play carom, cards, chess and watch cricket or football matches. These clubs also hold the yearly discussions and proceedings of the grand Durga Puja festivities and lots of heated arguments over them. Art and culture play major roles in the lives of Calcuttans and every residential lane has an art, dance, recitation etc school. Plays and concerts draw major crowds and some of India’s most prominent artists, musicians, filmmakers, writers, and models are/were Bengalis or hailed from Calcutta. Calcutta women are deemed the most beautiful in the country and more fiery and independent-spirited than the rest of their counterparts. From the very childhood we are bred as equals to men, if not more and are trained, pushed and encouraged to excel. Although not quite the most stylish or prettiest women in the country, our sharp as nails, wily ways of talking, making pretty eyes, confidence and “intellect” help people not see that reality and we get away carrying those major chips on our shoulders. This spirit, however, changes subtly with different parts of the city and while the sedate ( but no less fiery) north Calcutta is definitely more architecturally beautiful and historically important (being the nerve center of the old moneyed), it is the racy, fast, nouveau rich South which prides itself on its vibrant spirit. Cabaret, music, food, Dada art movement, and sports, almost every aspect of Calcutta still drips with a charmingly severe (British) Raj hangover and these make life there very pleasant. So as I sit here on a lonely Cairo winter day and yearn for my family, let me lead you to Calcutta, the city of artists, rebels, Ambassador taxis, trams, dreamers and big talkers. Let me lead you home. 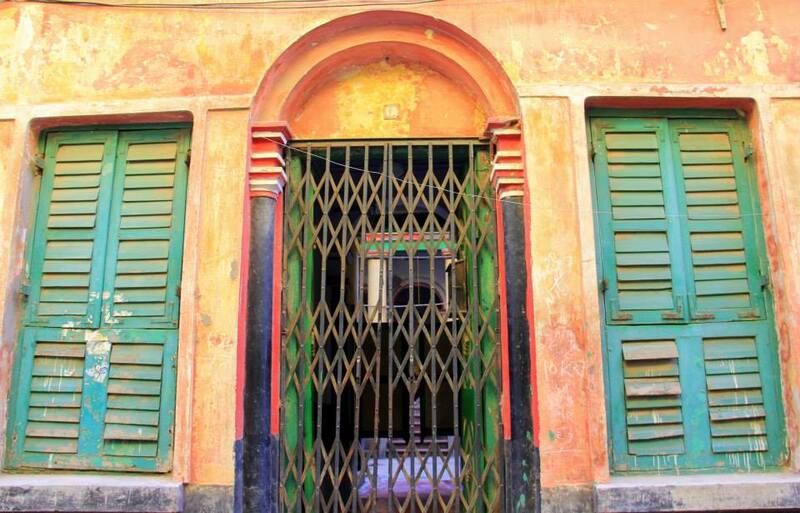 You may check out these excellent Calcutta travel blog posts by Migrationology, Urban Adventures, and Vir Sanghvi. Happy Mahalaya! 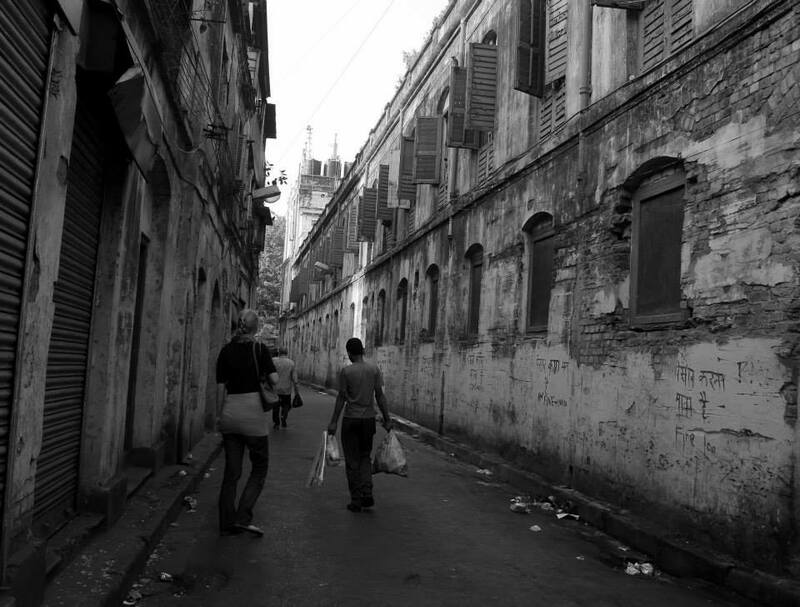 I hope by sharing the story will ease your missing of the city…Beautiful story of Calcutta and the photos are lovely. Thank you very much. You are a sweetheart. Yes it did ease my wistfulness a bit. Calcutta is quite photogenic. You will like it. Please be my guest some time. Subho Mahalaya. It felt good to read your blog on Mahalaya while listening to the voice of Birendrakrishna Bhadra on Radio. Do Read my Blog on Bonedi Barir Puja to relive Durga Puja moments of Calcutta. Thank you. Shubho Mahalaya to you too. I miss listening to Birendrakrishna Bhadra’s Mahalaya. Looking forward to your Bonedir Barir Pujo. Very impressive and interesting text and authentic photos 🙂 K.
Thank you very much Kamila. Glad that you liked it. Thank you. Your proud Calcuttan daughter. 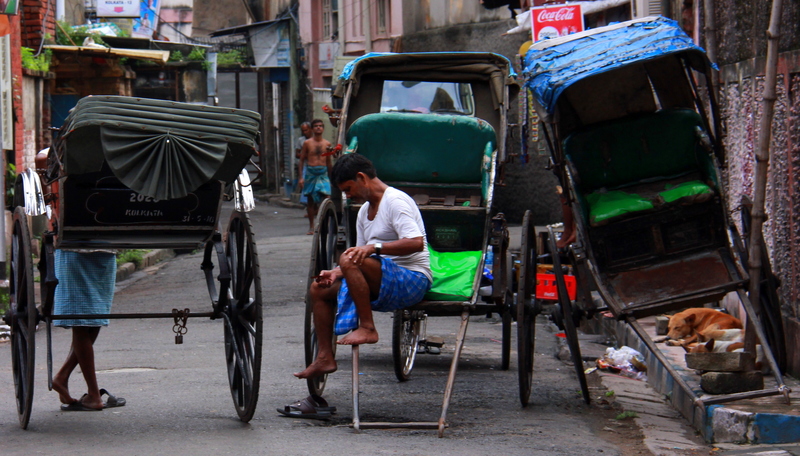 i really liked Kolkata the brief time i was there so many years ago now. Great that you’re so proud of the place! 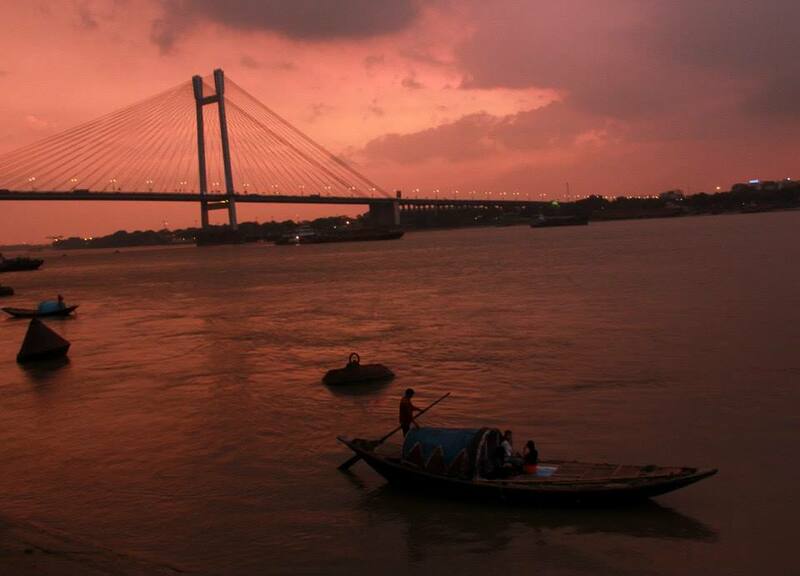 would love to get to know a place like Kolkata more deeply. Please be my guest next time you are in India. I would love to show you around my city. I am happy that you liked Calcutta and hopefully will visit again. Thank you very much for your kind words. Calcutta is a treat for creative minds. A belated Shubho Mahalaya to you too. You’ve brought the city to life. The pictures are as evocative as the words. To me, Kolkata is home to Ramakrishna Paramhans. On my last visit, went to Kalighat, but it was shut. Thank you very much. Ramkrishna Mission is loveliest during the evening prayer time. You will love it then. Very Nice pictures along with a vivid description. 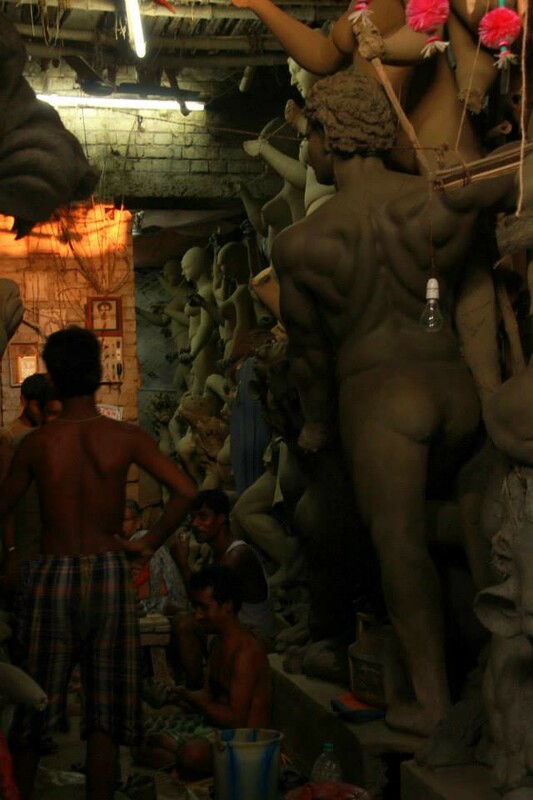 i could not find about Kumartuli where the craftsman make excellent idols. There is no mention about Mishti doi, Rossogulla and street foods. No calcuttans or Bengalis can live without them. A photograph of edengarden or Babughat is also missing. Kindly add them, if you may so like. Thank you. 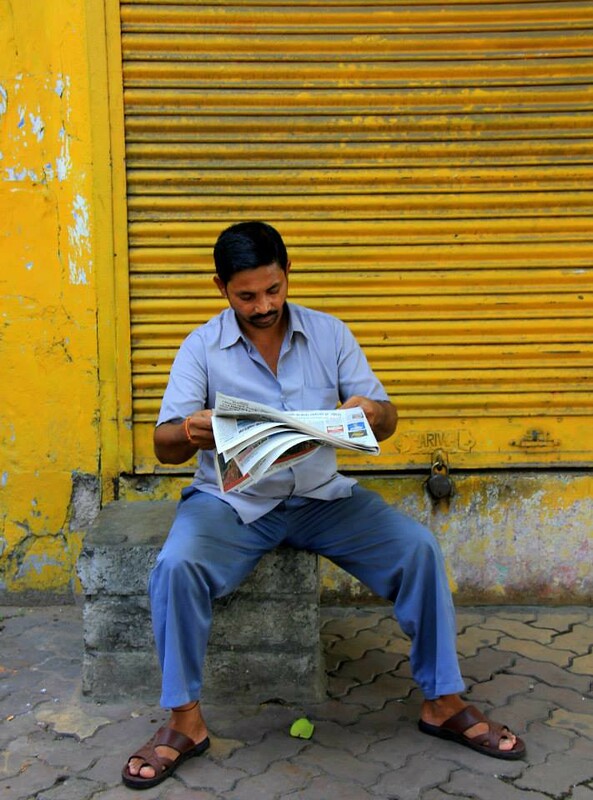 The post was a prelude to my Calcutta series. I am planning to mention them zone wise. Thank you for your suggestions. Calcutta is unimaginable without mishti doi, rossogolla and street food. Please do give more ideas and feedback about the Calcutta series. It’s about our home after all. Thank you very much. Glad that you enjoyed the post. Your love for your home, Calcutta is oozing in every word… you have penned it down so beautifully! And I love the post most for those wonderful images. Thank you very much. Distance makes the heart grow fonder I guess. Wish you a happy puja! Thank you. Wishing you a very joyous Puja too. 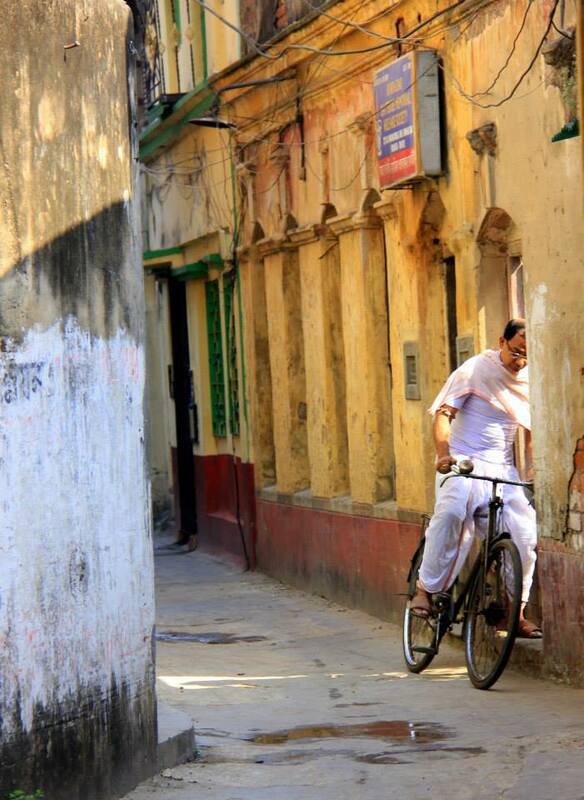 Beautiful pictures…enjoyed the old world charm in those lanes…Kumartuli snap is awesome! Thank you very much. Glad that you enjoyed the trip. Thank you Shreya. Wishing you and your family a very happy Puja and Mahalaya too. Straight from your heart, I see. I feel like I just travelled to the heart and soul of your home city. Lovely write up (as always 🙂 and pics. Thank you for the trip. Thank you for your kind words. Glad that you enjoyed the trip. I love Kolkata.It’s where I did my schooling and fell in love with the very laid-back atmosphere and very nice people.I miss it all the time but life has to move on 🙂 . Anyways happy pujo to you and family. Thank you very much. Wishing you and your family a very joyous Pujo. I really enjoyed this post, you speak very endearingly about your home. 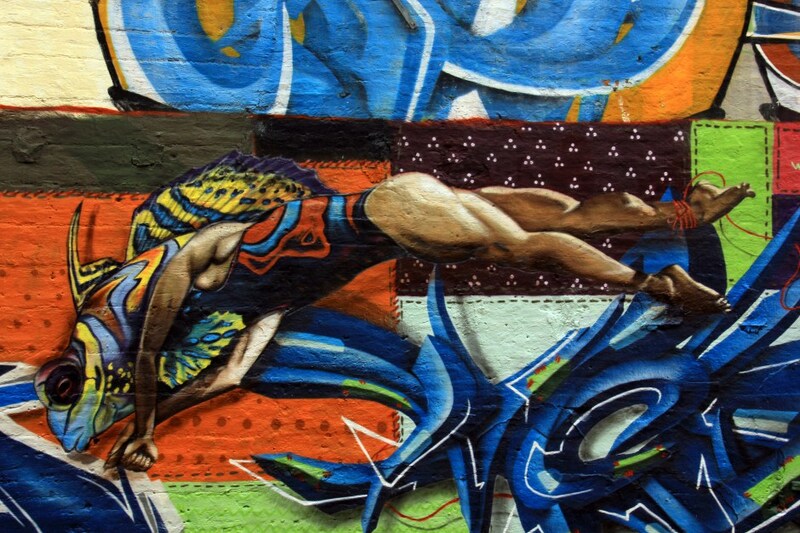 The photos are captivating and you speak just how intriguing this city really is, great work. 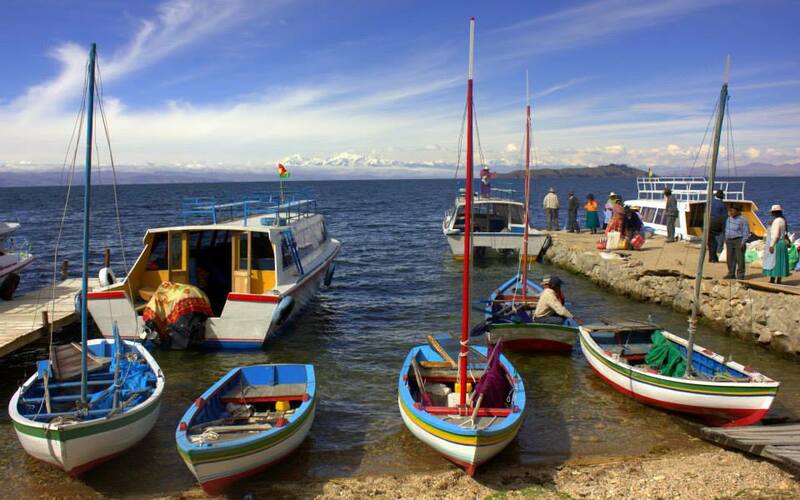 When you long to travel, but don’t have the time remember that others have been there and can share thoughts, feelings, and love for these locations. Maverickbird has done this here on this post. Nice pictures. 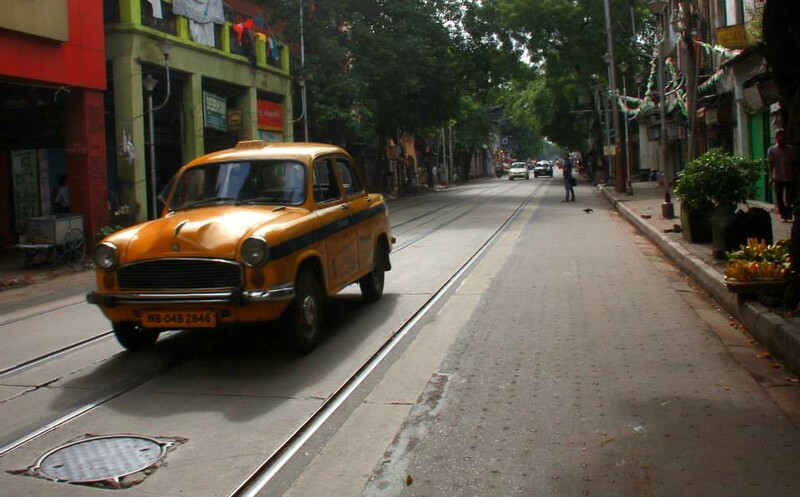 I am nostalgic about the city of Kolkata. Beautifully written, Svetlana.Keep the good things rolling. Though the daily grind of Calcutta tires me out, your article provides a nice breather away from the grime and the squalor. Thank you very much Abhimanyu. Shubho Bijoya. Thank you, Subho Bijoya to you too. Thanks for sharing the whole story of Calcutta , I had been to Calcutta in 1977 competing for Asian bodybuilding or M Asia 1977 organized by Mr Monothos Roy. Calcutta is like Manila in the Philippines where all people in the province aspire to move to Manila for better life and for the people who are not succeeded will added to poverty. Thank you for your heartfelt comment. I am quite surprised that you visited Calcutta and more so that you compared it with Manila. Good, bad and ugly, I love my hometown. It is actually me. Thank you. Glad that you liked the post. I like Ahmedabad very much. After a long time I came across such a lovely post. Thank you very much. Glad that you liked the post. Very pretty pictures. You made me nostalgic. By the way, Didi has changed Calcutta to Kolkata. Thank you very much. 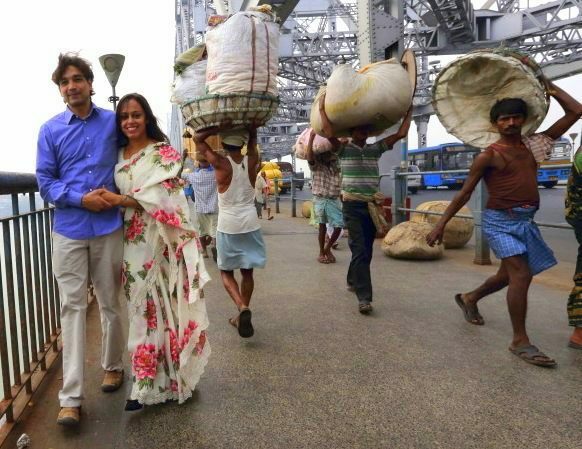 Yes for her it is Kolkata, for me it will forever be Calcutta. Thank you very much. Glad that you liked the post. Hope you like the rest of the series. Such a great introduction to the City of Joy !!! Wow Sreejith. Thank you for your wonderful words. You made my day. Like your style of writing. Loved the vivid photos, too. Thank you. 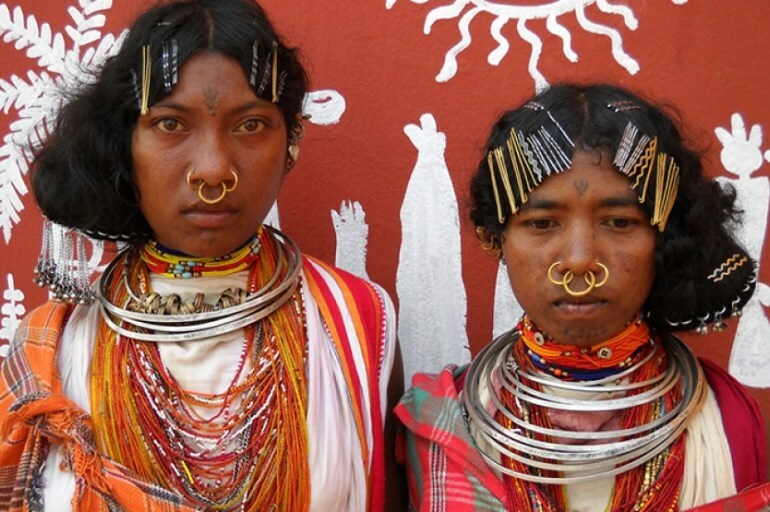 Having ancestral roots from Kolkata, I am always inspired by its culture. I would love to celebrate Durgo Pujo here someday. What a great post this is, Svetlana. Clearly reflects your immense love for the city. 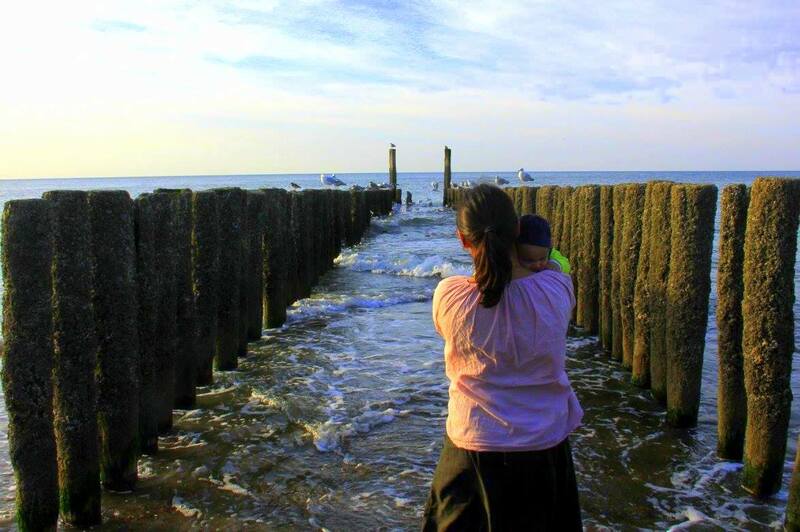 Wow, what a wonderful post and so many beautiful pictures. I am so much motivated to go through your travel stories. This is the first time I came across your website, and I feel really motivated. Thank you for sharing good work. Wow! Thank you for your kind words. Nice post. Keep sharing more posts like this. This place is truely amazing, I will definitely visit it soon. Your way of explaining this post is quite nice, thanks for sharing it with us.